Madrid’s main park, El Parque de Retiro is a popular and magnificent place for a stroll. Home to several sculptures, monuments, and a boating lake. This oil painting is done on gallery wrapped linen canvas, with no need for framing, as the edges are painted. Ready to hang. Jose Higuera, Spanish realist painter, was born in 1966. Since an early age he showed a defined interest in drawing and painting, being this a tendency noticed by his school teachers. Encouraged by his teachers and his family, Jose was provided of the needed material to pursue his artistic talent resulting in the fact that at the age of ten years he had already produced his first oil painting. His grandmother decides to put him under the tuition of local artists to initiate him in the knowledge of some techniques of this art and start him painting mainly landscapes; although it should be noted that Jose is basically a self-taught artist with the inevitable influences of the creative movements that he develops with his own style being realism the basis of all his work. His first exhibitions are received with high interest by the critics and the public and is not long before he stars selling his works with the resulting enthusiasm that encourages him to continue on the not-always-easy road of the art of painting as a profession. 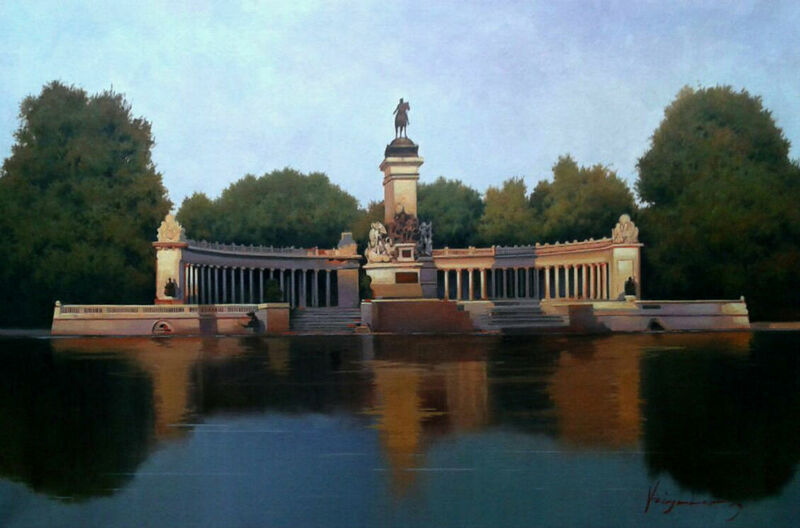 During years Jose works on an exclusive basis with the Art Gallery and Auction House of Madrid, during which period he builds up experience and contacts that allow him to dedicate his time exclusively to painting. He has then presented his works in a number of exhibitions throughout Spain. At the moment he lives in Cantabria (North of Spain) and the realism in his works continues to be the main characteristic.